This report is a compilation of YOUTH-VOTE’s online broadcasts and activities on Anambra Election Day. It underpins the work of the Civil Society Election Situation Room, particularly in the area of reporting and analysis of findings from the field. This report is not exhaustive, in that it mainly captures the role Spaces of Change played in the Election Situation Room on Anambra Election Day. The Anambra governorship election was widely viewed as a litmus test of the Independent National Electoral Commission’s (INEC’s) capacity to conduct free and fair elections in 2015. The early hours of the Election Day started off on a good footing, but this trend did not last throughout the election period and across the various electoral wards and polling units. Although there were no reports of violence, many irregularities were observed. The several failings of past elections identified in previous observer reports seem to have repeated themselves. Security agents were deployed in sufficient numbers in most polling units, and these officers and men conducted themselves in a professional and commendable manner. However, the disenfranchisement of voters was observed following the omission of names in the voters’ register. In some communities, the polling units were located far apart, making it difficult for some voters to reach their polling units. Overall, the people of Anambra State conducted themselves in an orderly and peaceful manner despite the challenges and difficulties experienced during the elections. The perennial issue of poor logistical coordination resurfaced, mainly evidenced by the late distribution of election materials to several polling units which affected the commencement of accreditation and voting in many areas. Election officials were not deployed in sufficient numbers to some polling units, making it difficult for the election officials posted to the units to effectively carry out their duties. In addition, no voting took place in some locations within the state. Despite the massive campaigns by some of the gubernatorial candidates and political parties, there was low turnout during the Anambra State governorship election. All over the places visited, majority of the voters were old people, that is persons aged 60 and above. 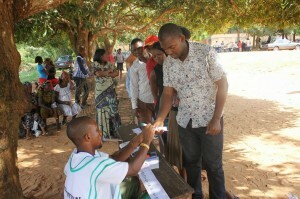 In other words, youth voter apathy was observed across the polling units and local government areas visited. 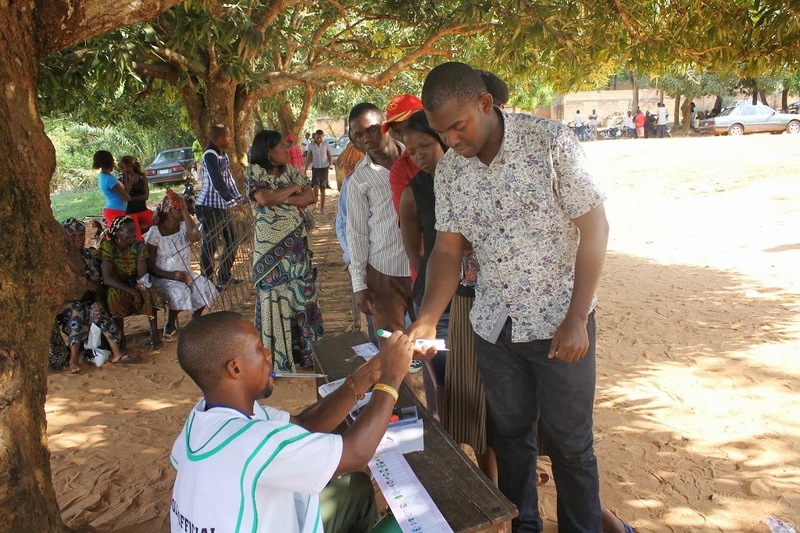 But compared to previous elections, local youth were better engaged in the electoral process, as the governorship election offered them the chance to stand as party agents, governorship and deputy governorship contenders. After deploying 16 National Electoral Commissioners, 5 Resident Electoral Commissioners and over a hundred thousand security personnel to oversee an election in a single state, coupled with the extended period of preparation, the massive shortcomings surrounding the Anambra guber poll are distressing.These challenges, in addition to the generally low voter turnout reported by observers, call for a concerted effort by INEC to ensure that registered voters are not disenfranchised and that voter apathy is addressed in future elections. INEC’s announcement of supplementary elections in areas where elections failed to or were cancelled represents INEC’s admission of these lapses, and puts a question mark on its preparedness to conduct future elections. These problems and lapses identified in the Anambra State Governorship elections are systemic in nature, and may not be sufficiently addressed before the announced supplementary elections in the State, except INEC demonstrates serious commitment and political will to address them. As the 2015 elections draw closer, the Anambra poll is an eye-opener to the many gaps that need bridging, the thorny problems that need tackling and the mechanisms that need strengthening.